I hope you are all ready for this heat wave to hit! 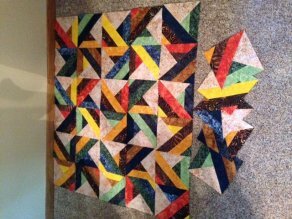 My paper piecing class was absolutely wonderful! I learned some great things and ... booked the instructor to come and teach at our shop!!! Yay! I will be sharing details with all of you soon. 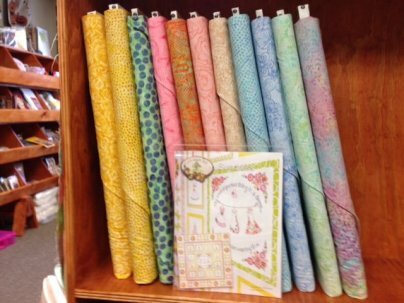 NEW in this week is a fabulous line of soft pastel batiks! 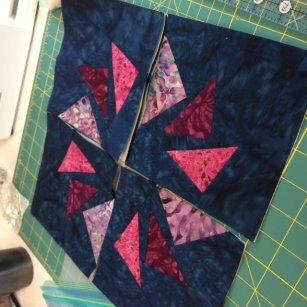 We can't wait to use these cuties in a fun quilt. Oh, and the NEW Sundresses pattern from Crabapple Hill arrived too! 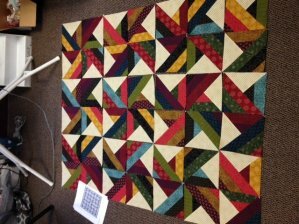 Call us at 308-344-9389 or email us at juststitchin2014@gmail.com if you are interested in joining us! 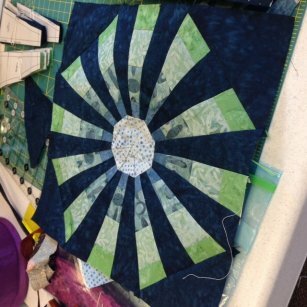 Our July quilt class will be held July 17th & 18th. Watch for a message later today! The Row By Row Experience starts next week and runs until September 8th! Row patterns can be picked up at any participating shop for free and kits will be available for purchase. Check out participating shops at www.rowbyrowexperience.com ! We took on the project of painting our kitchen cabinets! So my weekend will be filled with painting and a little stitching in between. Hope your weekend is wonderful!